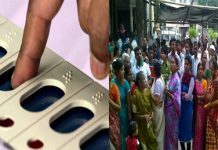 Kolkata: The full bench of Election Commission of India (ECI), which concluded two-day Kolkata visit today, has warned the Bengal administration against bias during the coming Lok Sabha polls. ECI has categorically told the civil and police officers in the state that it will not tolerate the slightest slip as regards ensuring a violence-free and fair election. 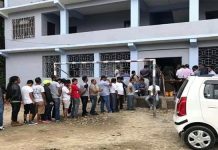 The poll panel has also said that it will take further steps to ensure that Central troops are deployed properly in Bengal and they remain active during the polls so to negate chances for malpractice and bias. “We have held a 10-hour-long meeting with the DMs and SPs yesterday. We have zero tolerance for violence be it pre-poll, poll-day or after the polls. 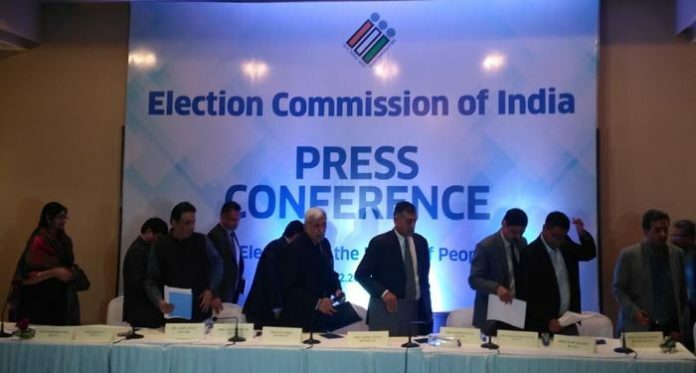 We have told them that all out steps have to be taken to pre-empt violence and wrongdoing,” Chief Election Commissioner Sunil Arora told a news conference here this afternoon. 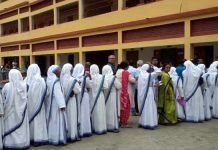 The cautionary note comes as, during the 2014 Lok Sabha polls and the 2016 state Assembly polls, there was widespread allegations of bias or inaction by Bengal’s civil and police officers to favour the ruling Trinamool government. Because of this, both in 2014 and 2016, ECI had removed several DMs and SPs during the election process.